Tuckaway Farm is a three generation family farm "tucked away" along the Oyster River, just 2 miles from UNH. We have farmed organically for over 50 years, growing vegetables, small fruits, hay, blueberries, mushrooms, grains and oilseed crops. We use draft horse power and no/low-till practices where possible, and rotationally graze our livestock and poultry. We currently operate a credit-system CSA and Bread Club, and sell to area restaurants, markets, and school districts. We are deeply engaged in open source research and development through farmhack.net, a collaborative community for resilient agriculture. Our ongoing mission at Tuckaway is to support a regenerative energy and food system by providing diverse agricultural products and by practicing agriculture that builds soil, habitat, and community. Please call or email for an introduction to our farm. At farm (call ahead Contact: Sarah) Please call ahead for details on PYO blueberries and our farm stand membership program. 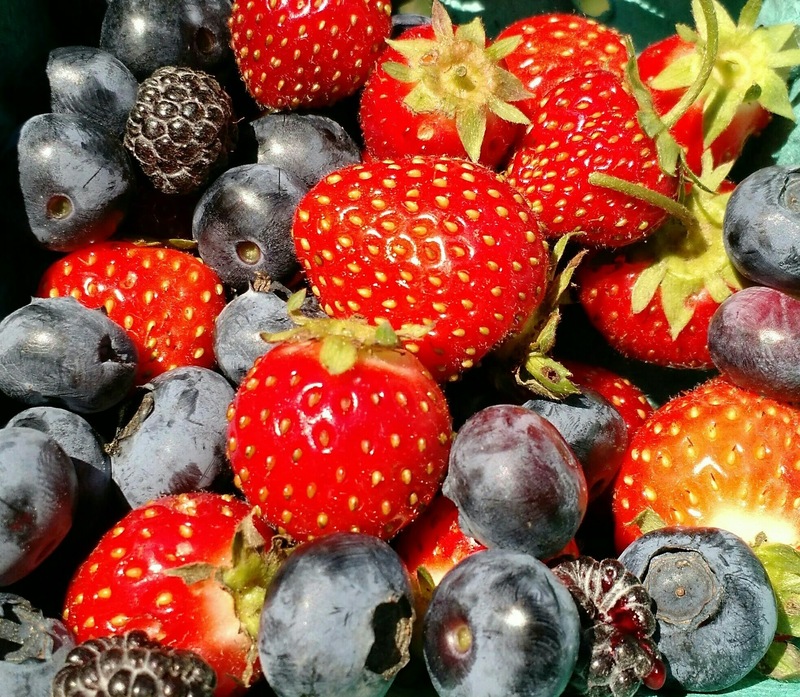 PYO blueberries (please call ahead), strawberries, raspberries, peaches, concord grapes. Shittake and oyster mushrooms. Hay is available from the field, barn, or with delivery charge (please call for more information). We offer a year-round credit CSA which allows members to shop at their convenience with 10% additional credit added to their share.